So I for one am really enjoying seeing quite a few fashionable plus-sizes starlets on the TV this week during premiere week. 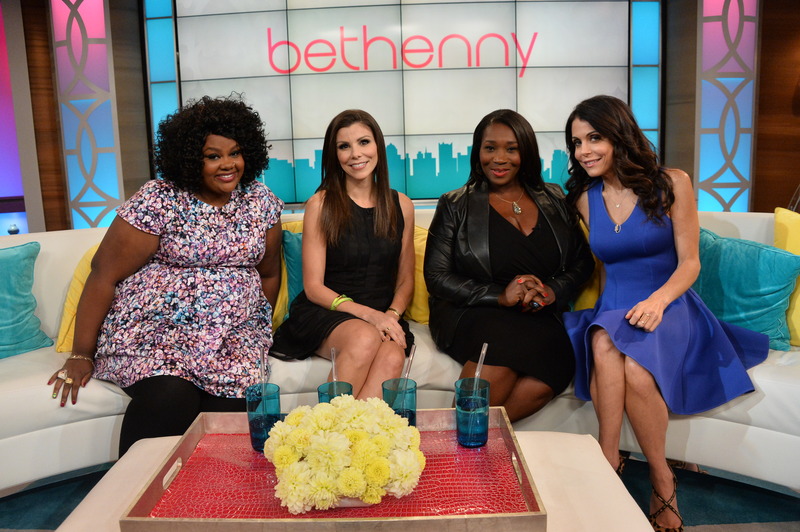 From the new “Queen Latifah Show” to spotting two curvy divas on the new “Bethenny” talk show yesterday. One being actress and comedian Nicole Byer. Being a fashion stylist the moment she stepped on stage I instantly recognized her dress. (At least I think I did, lol). If I’m not mistaken, Nicole was wearing the SEQUIN PRINTED CUT OUT BACK SKATER DRESS by Simply Be. Great news for those of you all who also like this print, it is still available in sizes 8-28 and now marked down to only $54 from $90. Don’t you love it when items that you like from TV or red-carpets, and you can really fit, are actually available when you see them?